I think you should read “Ex-Bronx prez Carrion to endorse Espaillat’s bid to unseat Rangel” and Latino Support For Rangel’s Opponent. I suspect Adolfo Carrion is hanging up his bid for citywide office. Whatever few votes his endorsement brings Espaillat against Rangel will cost him dearly in 2013. The MirRam connection may be a factor in this endorsement. 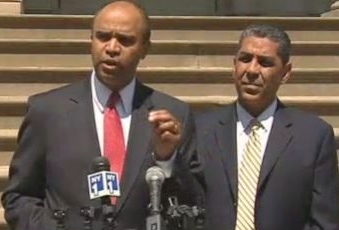 Will Carrion’s endorsement of Espaillat be a factor in 2012 or 2013? This entry was posted in African Americans, Elections, Politics and tagged adolfo carrion, adriano espaillat, african americans, charlie rangel, congress, MirRam, redistricting. Bookmark the permalink.